It's Christmas! For the entire month of December the J&M Miniatures shop rabbits are helping Santa out with FREE SHIPPING! Just put the coupon code 'Christmas' into the box on page 2 when you check out. Effective from 1 December 2012 to 31 December 2012. And when you add that to the many items I've already marked down in the 'Clearance' section, the savings are pretty darn good! My old and distant wargaming friend, the Mad Padre, has put Rabbit's in my Basement up for a highly coveted "Liebster Award". 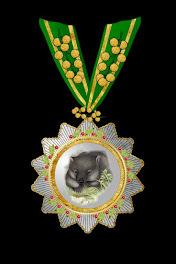 First up I have to nominate Je Lay Emprins. This fellow's painting and terrain building is absolutely top quality and features some brilliant conversions to make dynamic vignettes and interesting characters. He does this all in a period I've always been attracted too: the Swiss-Burgundian Wars of the late 15th century. Everytime I read his blog I think I should get back to my own Cantonal troops and Ordonnance Companies. I don't know if this totally kosher, but I'm also going to nominate the same fellow's other blog Harness and Array. In which he brings the same high quality work and attention to details to the Hundred Year's War. 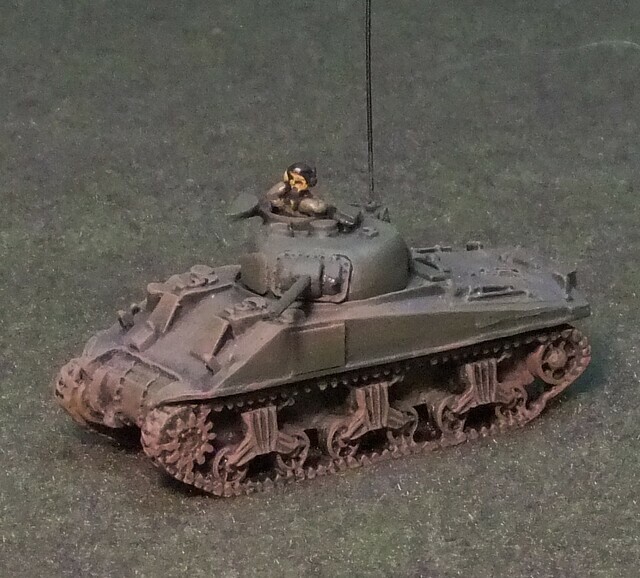 Dougie's Wargaming Blog is a really good foray into 20th century gaming. Africa, Afghanistan, the Falklands, Ulster ... Dougie is painting it and painting it well. His terrain is also amazing. Lead Gardens is a delightful Old School gaming blog. The figures are nice and the terrain is stylish in a simple aesthetic. I dunno, I like the way he approaches things. Some good game writes up too. 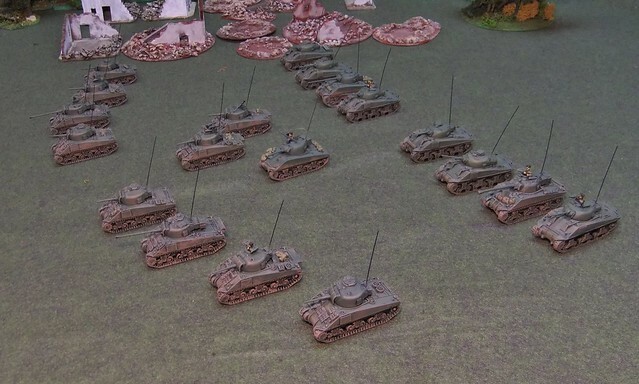 Keith's Wargaming Blog has more Old School SYW and some nostalgia inducing 20mm WW2. I also like his no nonsense approach and he has some good scenario ideas in his game reports. Timurilak's 18th Century Sojurn is a gold mine of information for SYW gaming and terrain building. And he does it in 15mm like me, which is rare. 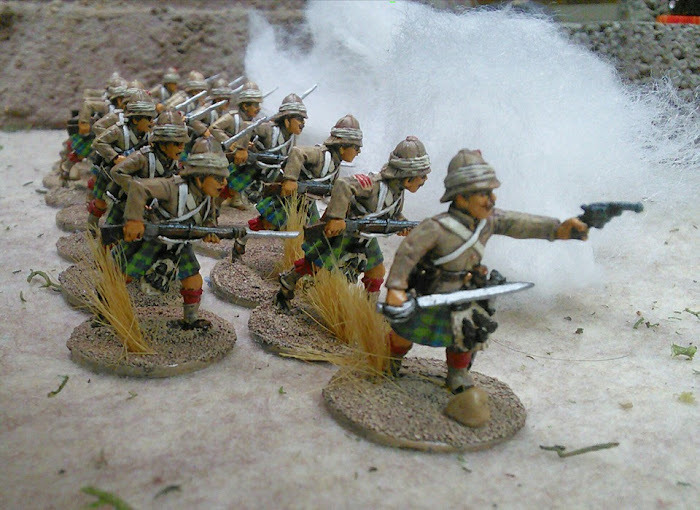 Most SYW gaming in the blogosphere seems to be in 25mm. 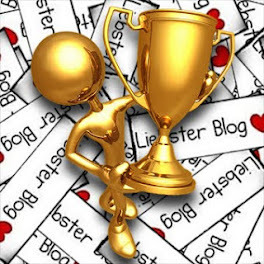 So I'd like to thank the members of the Blogspot Academy, my Director, my Coach and most of all my lovely Wife, Mrs. Rabbitman, for being at my side through all of this. Thank you blogosphere! You've been great! While I was painting and gluing I replaced one of my troop commanders in an Old Glory tank with an extra Battlefront commander Mike B. passed along from his rather expansive North Africa collection. The old troop commander was a cut down figure wearing a tin hat, which I later learned would never ever be worn by a tanker, as the brim would catch on the hatch ring. So I'd been looking for a chance to replace him for a while. The new troop commander is wearing a black beret like everyone else and he no longer feels left out. 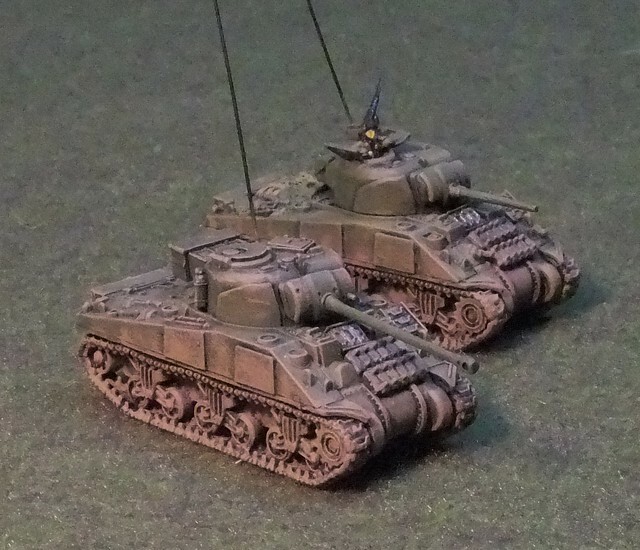 I added some metal stowage to the PSC Shermans. Not as much as I'd like, but I only had so much left in my bits box. I also added radio antennae. These were a simple matter of drilling out a hole with my pin vise and then using epoxy to glue in a bristle from a cheap dollar store snow bush. Since the 1st Hussars are a local Reserve unit to which I have a few connections via friends, and they were part of the assault force on D-Day, I switched the troop commanders cap badges to silver. A small detail I know, but it stands out better against the black armoured corps berets. My tanks are just as likely to be playing the part of the 8th (Princess Louise's ) New Brunswick Hussars in Italy or the Three Rivers Regiment or even the Governor General's Foot Guards (who drove tanks during WW2)as they are to be 1H. But I always associate my figures with a particular unit, even if I play different scenarios. PSC Shermans in front and HQ troops, BF and OG Shermans in the rear troops. Painting was simple. Black undercoat. Then a heavy dry brushing of Vallejo "Bronze Green". I then went over that with the Bronze Green mixed half and half with some Americana "True Ochre". Stowage was picked out in Vallejo "Khaki Grey" and Americana "Pewter" for the welded on track pieces. Finally I gave the tracks and road wheels and lower hull a heavy dry brushing of Americana "Mississippi Mud" and carried a lighter dusting of that over top of the upper hull, stowage and turret to help highlight the details and give them a slightly dusty look. Dateline: July 1944. 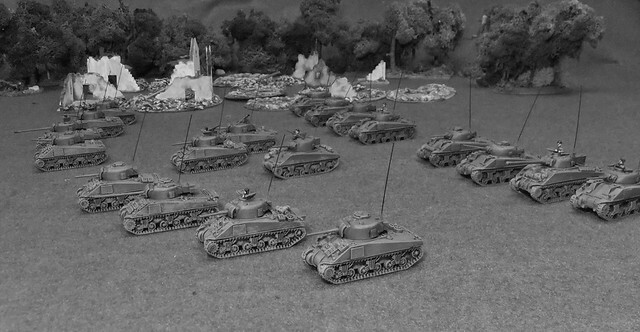 Somewhere in Normandy Canadian tankers advance to give the Nazis a good hiding. Trying to be a savvy 21st century web entrepeneur (and maybe shift some boxes of toys out of the dining room) I've got a Facebook page for J&M Miniatures. It's an easy way to promote new stuff and chat about gaming. Of course, I'm only promoting the new stuff to those who have 'Liked' my page. As the page administrator I get all kinds of nifty stats thrown at me; how many people have seen a post, how many have shared a post and made it 'go viral' (I don't think two 'shares' really counts as being viral) and new 'Likes'. A lot of my new 'Likes' will be teen aged girls with suspicously foreign names, who's own posts (yes, I creep their walls out of curiosity) seem to be is a foreign language (often possibly Spanish or sometimes some Eastern European lingo). But often they list their residence as Stratford ON. I know my town pretty well... there isn't a huge ghetto of Hispanic or Slavic speaking folks hiding behind the Festival Theatre or the hockey rink. All I can think is that these youngsters have "liked" my business because it is from the same town as their current pop idol, Justin Bieber. Perhaps they're hoping that I know the Biebs and can connect them? Or he will make a sudden random post on the J&M Miniatures FB Wall? Or they just try to 'like' as many Stratford online presences as possible to try and collect the complete set? Show you're the BIGGEST of fans! 'Like' all of Stratford! And Stratford is a pretty likeable town. But the Fall training is slowing down and I didn't get loaded onto the "Training Officer's Course" I had hoped to be on (they decided after it was too late for me to apply for the fall session to make an 'Intermediate Officer's Course" a prerequisite to the TOC), so hopefully there will be more painting and gaming in the coming months. I've got a squadron and a half of Shermans to paint up! (Among other things). This past week we were supposed to have a guest speaker talk to the cadets. The CO asked me to give my War Memorials lesson to the whole cadet corps. So I brushed up my Powerpoint slides and started talking about cenotaphs and memorials and tried to weave some history into it. With the big Vimy Ridge Canadian National Monument I talked about 1st Canadian Corps fighting together for the first time on a freezing rainy Easter Sunday in 1917. For regimental monuments I showed the Royal Newfoundland Regiment's haunting memorial at Beaumont-Hamel and told them about the death of an island's best and brightest and along with them, hopes for independence. For more local examples we looked at the Sherman tank preserved in a nearby park as a monument to the 1st Hussars armoured regiment and I told them about Black Sunday and la Mesnil-Patry. Then I told them about La Place Gerard Dore and a boy, who could have been a cadet in my class every Tuesday night, who joined Les Fusiliers Montreal and went to France in 1944 to die at Verrieres Ridge before his 17th birthday. I always get choked up with that one. I had lots of time to fill so I launched into an expanded version of my Royal Canadian Regiment history; a young nation's birth pains and the First Nations brief defiance, Imperial adventure on hot South African plains, the death struggles of Empires in the trenches of the Western Front, the heat and dust of Sicily and the mud and cold of the Moro River and Ortona. Korea and the Cold War and Afghanistan. I don't know if the cadets were thinking of any of this during the silence at today's parade, but it gave me something to think about. This first video I just saw this year, and I like the parallels it draws between WW1, WW2, Korea and Afgahanistan. The more things change, the more they stay the same it seems. And I've always liked this song by one of my favourite bands, honouring the "Blue Puttees" (The Royal Newfoundland Regiment).